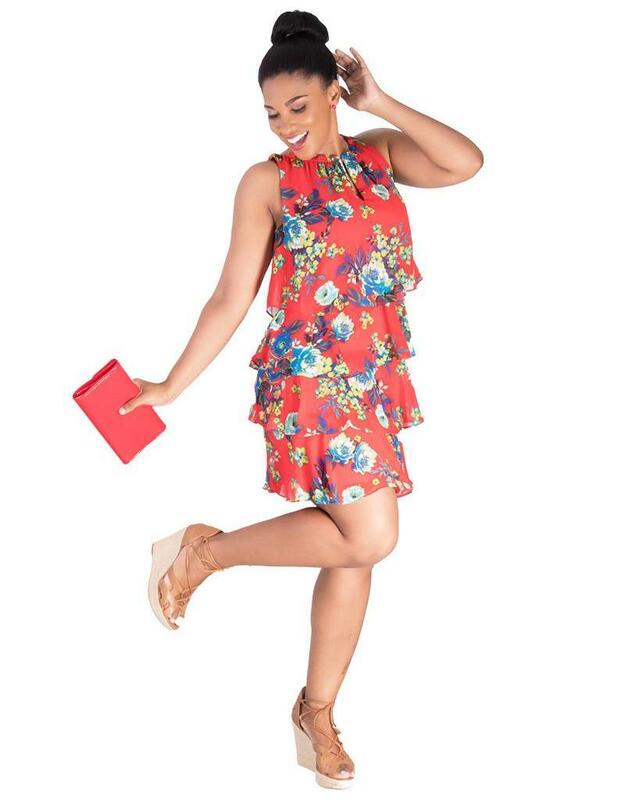 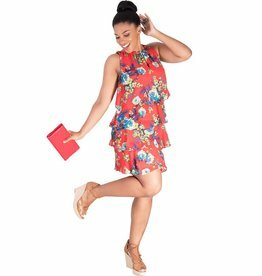 You’ll feel to move your body in this gorgeous printed layered dress. 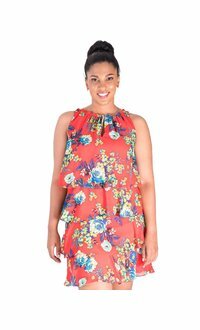 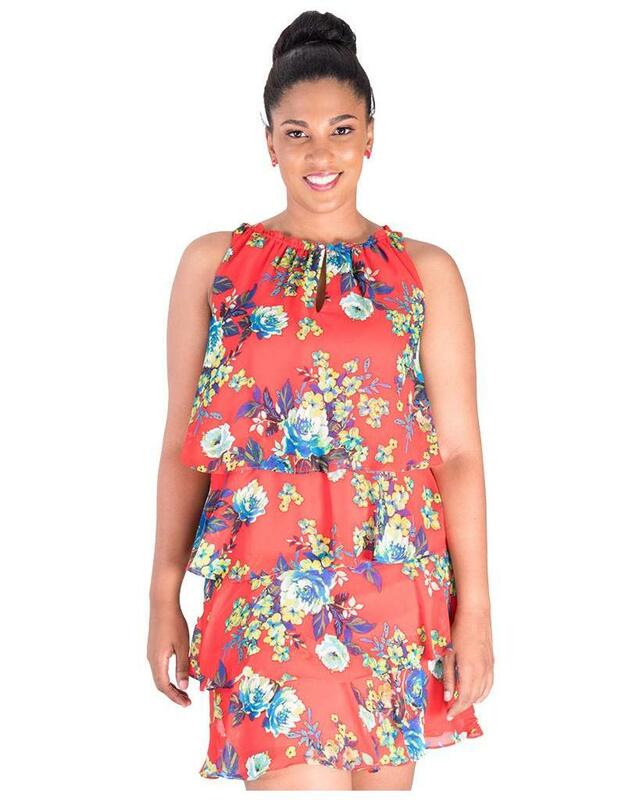 Created in this floral print, this dress features a crew neckline with small pleating and sleeveless design, the dress flows into a melody of layers that add movement to this shift silhouette. 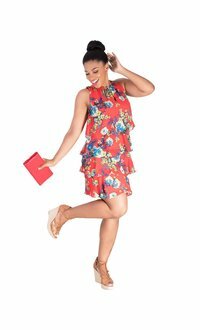 Ending just at the knee, this dress is great for your next garden wedding – pair with accessories from our collection for your event needs.